With a great history of successfully campaigning 350Zs the time has come to see what we can do with a 370Z. Initially we are running a largely stock Nissan 370Z Nismo with addition of Precision 67mm turbo and tuning on E85. Warning: While we understand we are beyond the limits of the factory components we have chosen to see what it can do. 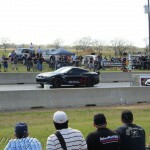 First pass out broke the 1/4 mile record at 10.40 seconds, and we have continued to whittle it down since. 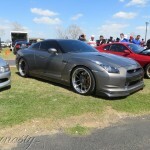 Most recently the Z ran 10.03 in competition at Import Face-Off in St Louis, MO. With better weather and a bit of luck we expect to see a 9 second time slip coming soon! In memory of Trent C.
Welcome to the 7 second club Aaron! We wanted to take a minute to offer a HUGE CONGRATS to our friend and sponsored driver Aaron from CDub Racing! 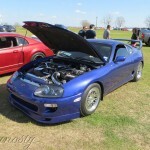 He went out to the 2016 DSM/EVO shootout and ran the rounds. Came home with a new personal best, and some hardware to add to his collection!! Happy to play a small part in this operation! 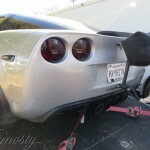 Aaron picked up almost .5 from his personal best to an ET of 7.96, all utilizing a Haltech ECU Elite series EMS. Check our Facebook video section for footage of Hal tuning this killer a few weeks back! 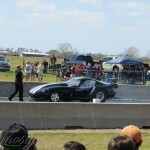 This time last year our drag car was stuck in the 9’s. A chassis that didn’t want to cooperate, a torque converter that wasn’t responding to our needs, and a suspension setup for a car with 1/2 the power we’re working with. The first step to moving ETs South, remedy all these issues. We sent the chassis to a well known shop in Indiana, we proudly represent the work they did on the sunroof delete at every stop on the IFO leg. If you get a chance to see us in person, ask us for our YELP review of the service we received, we’re happy to indulge with our opinion. Take a look for yourself, we think you’ll be thoroughly impressed. That passive aggressive picture post made me feel so much better….After the 6 months of chassis jail was up, we had some real help from the boys at Import Drag Solutions and PTC Torque Converters. The coilovers we had used last season came off, and on went a set of IDS conversion brackets and Viking shocks. The combo continues to prove it’s worth, and the guys at IDS are KILLING it with the support. 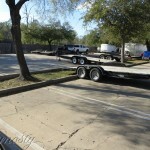 Contact us for ordering, we are an authorized dealer and installer! The converter was a huge change as well, getting on the 2 step is a breeze now, and the car is working 100x better. 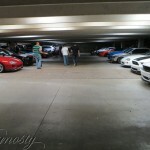 The Indianapolis IFO event was a blast. 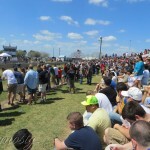 We were in the pits with all of our friends, all working towards a common goal. Aaron Gregory came out with his DSM, after a switch to new fuel and a few chassis updates. We had it on the rollers a couple weeks prior and knew first hand this thing was ready to EAT. In qualifying, on 10-15psi less boost than last year, he was already within .2 seconds of his best ET yet, throwing up 8.50s like nothing. We went rounds all day, consistently turning mid 8 second passes. We hit a new personal best, 8.41 @ 169mph, before heading into the finals against Aaron and his DSM. The final round was called and we sat with Aaron on the tree. Managed to edge out the win, but by a margin of victory you’d miss if you blinked. It was just .01 that separated us at the finish line. Check out the link below for a video recap! 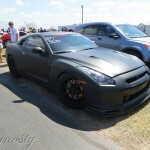 Friday, Willard took 1st place 6 Cylinder at the Frantic Friday competition at Mountain Park Dragway in his 2014 Nissan GT-R built and tuned by Dynosty running MoTeC M1 standalone. Saturday, Jonathan put on a show in Memphis, TN at the State of Drift competition and secured the win. 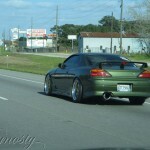 Jonathan pilots a bright green 350Z powered by a turbocharged LS1 V8 engine with Holley EFI. 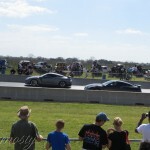 Sunday, Aaron of Winning Formula won 3 out of 3 NASA PTE races at the new NCM Motorsports Park. Aaron drives a Mazda Miata with newly installed and tuned Haltech Elite 1500 with Racepak dash. 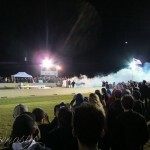 Making progress with the Dynosty SC300 and taking the win at Friday Night Lightz at Edgewater in Cincinnati. 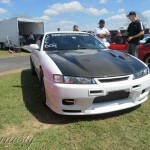 Very happy with the heads up 1/4 mile drag racing performance of the Precision Turbo and Haltech Elite 2500 on board! Mark your calendars for these Dynosty-Sponsored events in 2015! Come out to enjoy the event and meet the crew. Racers: $225 per day. Registration opens March 27 8AM EST and sells out FAST! This is our third year sponsoring Wannagofast 1/2 mile racing, and this is an incredible opportunity to race your car down an airstrip legally and get a verified speed slip stating the top speed. 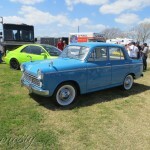 Racing this event is a blast, but spectating is also quite fun given the caliber of cars. 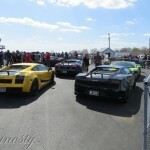 Watch everything from a stock corvette to a twin turbo Lamborghini race down the airstrip at speeds exceeding 200MPH. 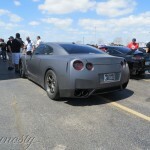 Dynosty is a proud partner and supporter of the TX2K™ annual event. 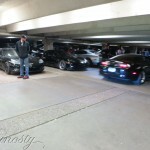 This mega meet started as a Toyota Supra meet, but has expanded to anything with high power. 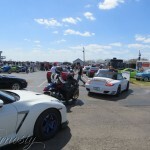 Expect to see many vehicles in the 1000-2000WHP range, including Supras, GT-Rs, Vipers, Lamborghinis, Camaros, etc. If it makes a lot of power, chances are you may see it here. Non stop live action, ranging from the roll races on the track, dyno shootout, car show, night meet, street action, and drag race event. Another long time Dynosty partnership and tradition, ZdayZ brings the Nissan Infiniti family together for a great time in the mountains. 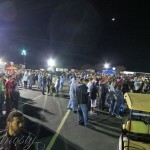 Over 1000 people gather in the mountains and pack out the hotel and cabins at Fontana Dam for spirited driving on Deals Gap / Tail of the Dragon, a car show, poker run, exhaust competition, vendor row and more. 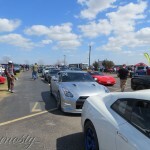 This event is a great getaway to relax and enjoy some incredible back roads as well as meet other Nissan Infiniti enthusiasts. Big Congratulations to David Daughtery who drove the Dynosty-tuned Nissan Motorsports 370Z to win the SCCA National Championship title at Mazda Raceway Laguna Seca. Despite some serious carnage on track and a tough battle as the tires faded, David was able to drive back around the competition to secure 1st place for the finish. Note the car features the number 8, which happens to be how many wins David has secured at the SCCA Nationals. Great seeing customers with the wheels up at the 2014 DSM Shootout in Norwalk this weekend. Big congratulations to Jesse of CDUB for 2nd place in the 4G63 powered orange fox body, and Josh on his new best 9.1 1/4 mile in the black Evo-powered Mustang. Both cars are powered by turbocharged 4G63 engines and Haltech standalone engine management systems. 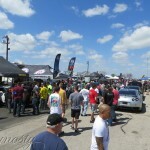 Dynosty is proud to partner with WannaGoFast to bring you the Chicago 1/2 Mile on the beautiful Bult Field runway. If you haven’t been, this is a great opportunity to legally race your car from a dig or a roll. The environment is unlike anywhere else, relaxed but exciting. This event sells out early, so be sure to register early or contact us to pre-register. Let us know if you have any questions. Hope to see you there! We had the opportunity to get the Turbo Scion FR-S to the 1/4 mile drag strip, and while we arrived later than anticipated, we were able to squeeze in 2 runs before they closed Lucas Oil Raceway for the season. The FR-S passed tech inspection and lined up in the lanes, as the announcer stated “No more vehicles to the lanes – this is the last pass of the night.” The first pass down the track yielded a 11.1 @ 127.9mph on a soft launch, setting the current world record for Quickest and Fastest FR-S / BRZ. On the return road the track official was kind enough to wave us into the lanes again considering we only had 1 run. The second pass backed up the 11.1 with an 11.2. There is a lot left in the car, and we hope to get to another track before they close for winter. Stay tuned for more! Special thanks to Tial, Injector Dynamics, Deatschwerks Fuel Pumps, Haltech Engine Management, Berk Technology, BC Racing, Traklite Wheels, and Clutchmasters. 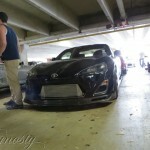 Contact Dynosty to setup your Scion FR-S or Subaru BRZ build today! 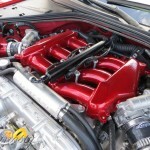 Buy this turbo build for your Scion FR-S or Subaru BRZ now on FRSMOD.com!